Swim Tether Mini is a compact, single pole version of the 3-Part Swim Tether that measures a mere 26". This shorter version is ideal for water aerobics and physical therapy sessions. 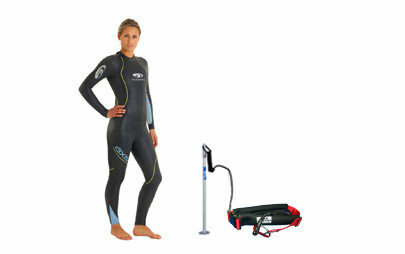 The one piece can be used very effectively for swimming at a lower angle. Neoprene Covered Nylon Belt - Accomodates Waists Up to 48"